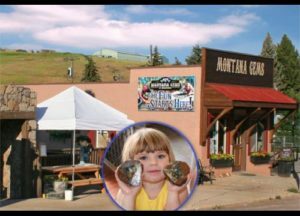 Fun family activities available – on-site mining at Montana Gems! Historic Philipsburg, MT is just 78 miles southeast of Missoula, Montana and 60 miles west of Butte, Montana on the Pintler Scenic Highway. Philipsburg is beautifully scenic and packed with fun activities for the whole family! 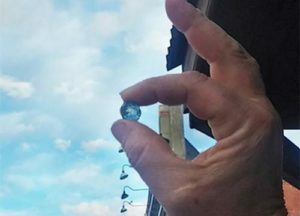 And speaking of fun, Montana Gems provides gemstone paydirt for your on-site mining and rock hunting experience. Our outdoor mining area offers you a place to find your very own treasure! With a variety of gem gravels to choose from and free use of our gem screening area, you are guaranteed to have a good time. It’s outdoor family fun for “kids” of all ages! A running water flume makes short work of the Montana sapphire gravel. Cleaning the gem dirt as you shake! Rock hunting near gem mountain montana has the benefit of being near Philipsburg where more family activities await. The on-site mining themed entrance enhances your Montana mining experience. Customer service second to none and great gemstone dirt is what we provide. This is obviously where to dig for gems in montana because it has been made easier and safer here at Montana Gems. The Fun Starts Here! We also offer thunder eggs and geodes that contain a surprise inside! We’ll cut it open for free so you can see just how amazing your purchase really is. Cut and polished Dugway geodes are always in stock as well. Gem krazy gem gravel is brought in by the dump truck load laced with mt sapphire to find. Our store is a treasure for rockhounds but we also carry many Made-in-Montana gifts and local art that appeal to just about everyone. If you’re in the area, stop in and see what’s new – open daily 9am to 6pm. A nice place to spend a little time while rockhounding Montana!